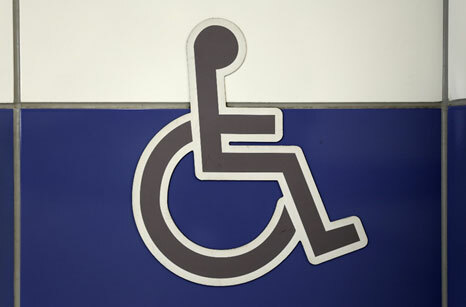 Intended to regulate the construction and compliance of handicapped accessible bathrooms, the American with Disabilities Act (ADA) requires that all public restrooms in the United States be ADA-compliant. The most prevalent aspect of ADA compliance is measurement and spacing of various bathroom elements, as wheelchairs and other devices can be cumbersome and difficult to maneuver in small spaces. If you’re renovating a bathroom and would like for it to be ADA compliant, here is a list of the most common guidelines that must be followed. For a complete list, please visit the official ADA website or contact the ADA directly. An important thing to remember when it comes to grab bars is that they cannot be replaced by towel bars – if you wish to install towel bars and have your bathroom be ADA-compliant, you must also include grab bars in your bathroom. The diameter of the pipe used must be between 1-1/4 to 1-1/2 inches, and must be installed between 34 and 38 inches off the ground. As a matter of safety and security, the bars must be round in shape and connected directly to posts or walls. This way, someone getting hurt by sharp edges can be prevented. Sinks and faucets in an ADA-compliant bathroom shouldn’t be mounted higher than 34 inches from the floor. Additionally, they should have a knee clearance of 27 inches high, 30 inches wide, and 19 inches deep. When purchasing and installing ADA-compliant sinks, be sure to pay attention to the space under the sink: you’ll need a clear floor space and insulated pipes under the sink, so individuals in wheelchairs will be able to use the sink. Faucets should be lever-operated, push, touch, or electronically controlled. Any faucet installed in an ADA-compliant bathroom should be able to be used with one hand without the need to pinch or twist the wrist. Perhaps the most important part of an ADA-compliant bathroom are handicap toilets. They must have a minimum width of 60 inches, so wheelchairs can easily fit in front of the toilet, and inside and outside the stall. 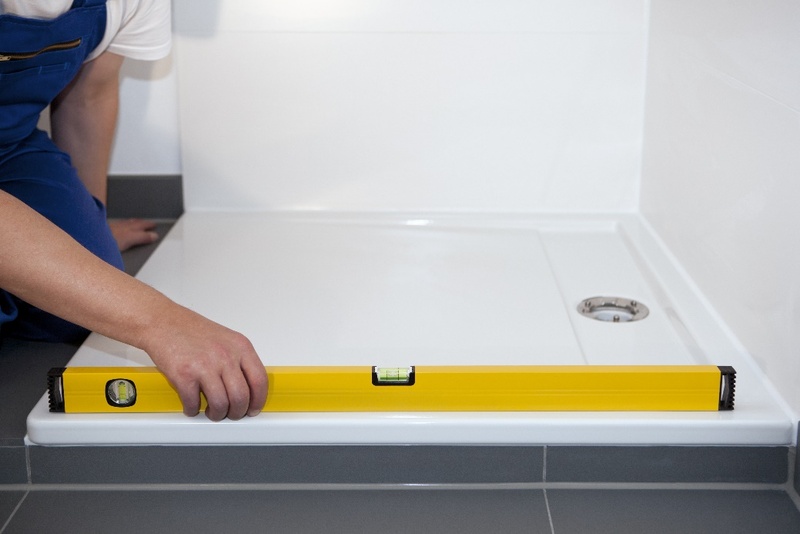 Horizontal grab bars must be installed behind the toilet and on the nearest wall or partition – whichever is closer. When it comes to toilet seats, the height must be between 17” to 19” above the finished floor. The lever for flushing must be placed on the open side of the toiler with the clearest floor space, and mounted no higher than 44” above the floor. Hand dryers are one of the easiest requirements to comply with when it comes to ADA-compliant bathroom design. ADA guidelines require that the provided hand dryers must be either motion activated or touch-free devices. In the past, when push-button activated dryers were popular, these dryers had to be removed in all public areas where you should have handicapped accessible bathrooms. When it comes to bathroom equipment, touch-free is key – those who don’t comply with the touch-free ADA guidelines can be exposed to several fines and other legal repercussions. If you’re turning an existing bathroom into an ADA-compliant bathroom, Modern Bathroom has an entire line of ADA-compliant vanities, faucets, sinks, and toilets, just to name a few of our ADA-compliant categories. Please visit our website for more ADA-compliant products. If you only have the budget to make one upgrade to your bathroom décor, choose a new bathroom vanity. Yes, you can install a new fancy toilet or an ultra-chic waterfall shower, but nothing will make your bathroom look fresher than a brand new vanity. Not only are they the focal point of virtually every bathroom, but installing a new vanity is a quick and easy way to give your bathroom an entirely new look. Since not everyone has the luxury of a large bathroom and an even larger budget, finding a vanity that fits your space is key. Here are some tips for choosing the perfect vanity for your space, style, and budget. While the installation of a new shower or toilet tends to require plumbing experience that just adds to the overall cost, bathroom vanities can be switched out and replaced with relative ease. If you’re somewhat comfortable using basic household tools, chances are you can replace a vanity on your own – without the help of expensive contractors or remodelers. With just a little carpentry experience and a passion for DIY, you can have a new, stylish vanity installed in no time. Before you worry about style or color, start by considering the bathroom space you have available. If you have a large bathroom, this step is simple. Since you won’t have as many space limitations, you’ll have a lot of freedom and can easily go for that extra-wide bath vanity with oversized mirrors. If you have a smaller bathroom, you may be more limited with your choices, but this doesn’t mean your bathroom has to suffer. A classic trick for making a small bathroom appear larger is to install a pedestal sink with a simple hanging mirror. Pedestal style sinks work well in smaller bathrooms, as they create the illusion of space without sacrificing valuable square footage. If you need extra storage space, hang decorative fabric around the edge of the sink and discreetly store bathroom items below. The important thing about updating the look of your bathroom with a new vanity is to select an overall theme. Since vanities are the focal point of bathrooms, it’s important to explore all your design options before making a final decision. If you’re interested in a more modern flair, art deco or black, lacquered wood are good choices. For those interested in more classic approach, traditional bath vanities come in all shapes and sizes, ranging from farmhouse to shabby chic. Fortunately, many retail stores and websites allow you to preview hundreds of different designs before making a final decision. As with kitchen countertops, those installed in bathrooms should be constructed of a nonporous material. Over time, moisture can ruin otherwise good-looking countertops made of laminate, natural wood, or other materials. 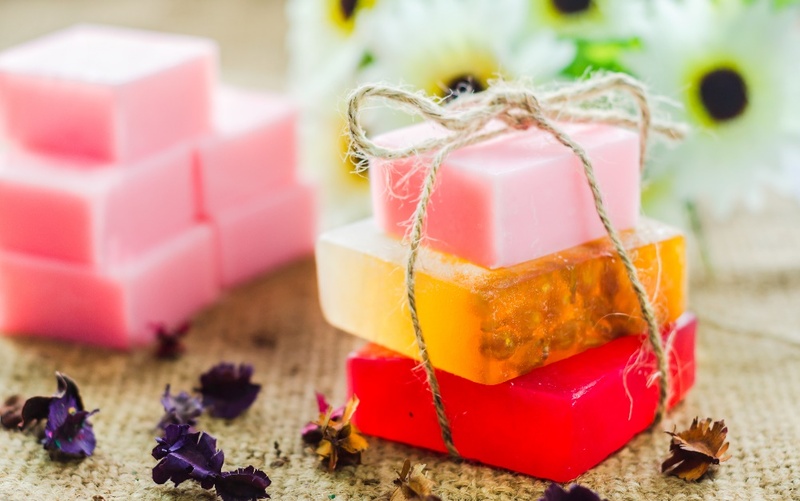 While the majority of bathroom vanities are made of nonporous material, it never hurts to verify – especially if you’re repurposing another piece of furniture as a bathroom vanity. 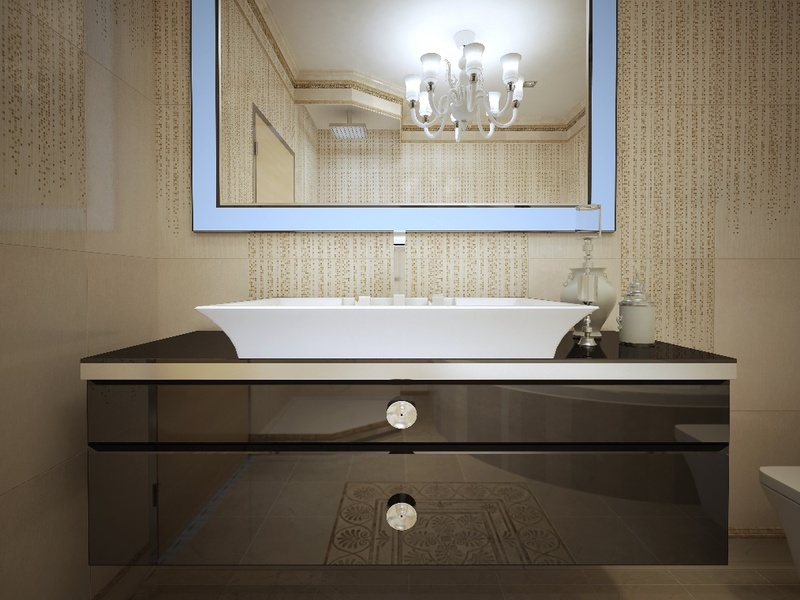 Generally, people choose a bathroom vanity that complements their home. If you’re leaning towards an upgrade in the future, some find it beneficial to upgrade in phases – that way you can mix and match styles until you figure out what makes you comfortable. With a bit of time and patience, you’ll have a beautiful bathroom before you know it. While replacing bathroom tile or tubs may require a professional touch, adding a fresh coat of paint is an easy way to transform your bathroom without a professional’s help. Picking a paint color for your home can be challenging, and one of the trickiest rooms to design and paint is the bathroom. Given the size and layout of the bathroom, you have to be careful not to choose a paint color that will make the room seem smaller than it already is. If you’re thinking about rolling up your sleeves and painting the walls of your bathroom on your own, keep this advice in mind. One of the things that makes choosing a paint color so tough is the lack of natural light in most bathrooms. Nothing can alter a paint color faster than the overhead and artificial light that’s so common in bathrooms around the world. In order to choose a color that you know will work well in the space, look at the paint cards and color swatches in the bathroom with the lights turned on and off. This way, you’ll know what the color will look like during the day with the lights off, and in the middle of the night with the lights on full blast. If the color works well in both environments, it’s passed the first test. If you’re completely unsure of what color you’d like in your bathroom, look at your bathroom floor for inspiration. For example, if your bathroom tile has tiny specks of color scattered throughout you may want to consider incorporating one of those colors on the walls. By choosing a wall color that compliments or blends in with your flooring, the room will look more put together. If your bathroom floor is carpeted, you may want to consider removing the carpet in the process- future homebuyers may see it as being outdated and unsanitary. 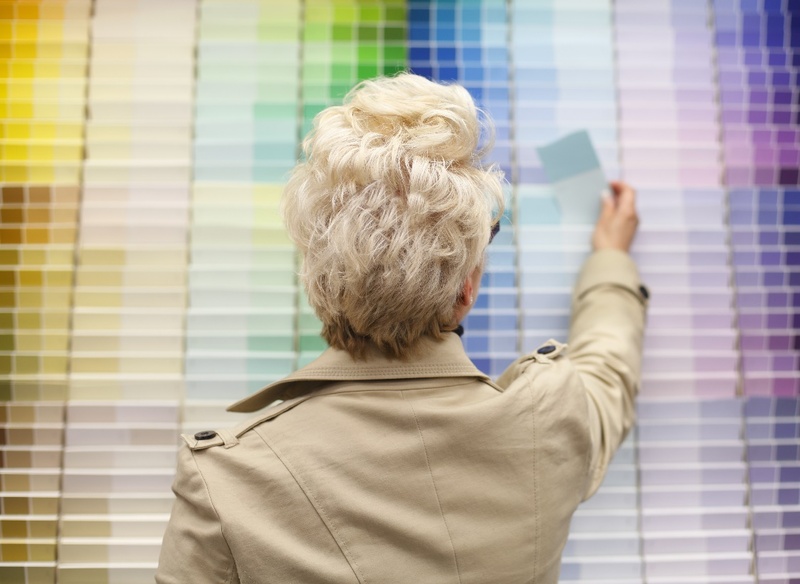 Another way to select your bathroom paint color is to let your location guide your selection. If you live in a typically overcast area, using a bright, uplifting color can improve your mood and give you a bit of sunshine in the morning. Similarly, if your home is located near a beach or lake, using a deep blue can accentuate the natural blue tones in the sky and seas surrounding your home. In addition to location, think about what the bathroom means to you – if you primarily use your bathroom to take a relaxing bath, consider using dark greys or light blues instead of bright, energizing colors. Since many of a bathroom’s fixtures produce running water, it’s not uncommon for a bathroom to get humid from time to time. Unfortunately, not all paint types can withstand the level of humidity caused by frequent baths and showers. When it comes to bathroom paint, it’s important to avoid paints that will develop mold or mildew due to exposure to excessive moisture. Many paint companies, such as Sherman Williams, offer paints that are designed to inhibit the growth of mold and milder in the bathroom. For more information, visit your local home improvement store and speak with a paint specialist.